Broadcasting your ads over the airwaves can be a complex, confusing process. 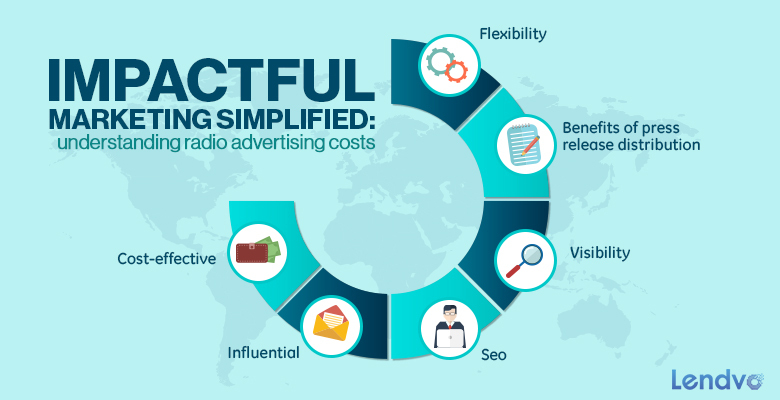 Fortunately, the following insights will help you understand how radio advertising costs affect your budget. Why Should You Care About Radio Advertising Costs? While digital content and other forms of marketing are growing in importance, traditional media still holds an important place. In 2015, 54 percent of the U.S. populace were daily radio listeners. That same year, U.S. radio stations generated some $14.71 billion in revenue. Marketers who tap into this massive cash stream stand to profit. Radio advertising also translates to other media. You can reuse a recorded ad spot or jingle online, at events or in TV commercials. This can help you cut costs and ensure uniform branding. U.S. companies spent $17.68 billion on radio ads in 2015. It’s almost certain that at least a few of your rivals were among them. According to case studies by the Radio Advertising Bureau, so were some of the nation’s biggest banks, retailers and restaurants. Can you really afford not to make a competitive showing? Finally, radio audiences are diverse, widespread and representative of many American consumer groups. Reaching out to these audiences should be high on your list of priorities. Radio advertising costs vary widely. For instance, stations and networks set their own rates for individual services and plans. Some offer cost-saving discounts, partnership prices or sponsorship programs. Here are some common expenditures that might go into your final radio marketing campaign bill. You should pay someone to write your ad copy or at least polish it up. Freelancers, dedicated marketing agencies and in-house teams are all viable options. Some radio stations also partner with production companies to offer writing and recording services. These different solutions have unique costs. Remember that the cheapest services may not always be the best in quality. Big package deals that seem convenient at first could eventually reduce the amount of control you retain. It’s smart to find a happy medium. $500 for final mixing and post-production audio engineering. These figures correspond to a hypothetical 30-second ad. Your broadcast station might also read the ad live on the air as part of their services, which can both impact the costs above and potentially improve your content’s reception. Online copywriting services are also inexpensive, so a combined strategy could be a good fit for your budget constraints. While ad creation is usually a one-time cost, broadcasting is different. To reach as many potential customers as possible, you need to air your ad strategically. This means picking the best times and days to have your content broadcasted and deciding how often it should be repeated. Your ability to negotiate pricing after receiving an initial custom cost proposal. Radio advertising costs reflect more than just what you pay for different services. To achieve optimal efficacy, you’ll likely need to modify your campaigns over time. Tweaking and adjusting your content, broadcast practices and other factors demands that you gather accurate feedback data. Analytics is an important part of any marketing effort. With radio ads, you may need to rely on figures reported by broadcasters to get a good idea of how many individual listener impressions your ads made. You might also need to engage in complementary market research or hire an independent performance analysis team. Many advertisers gather survey data to learn where customers heard about them. You can also use online tools like social media to ask people what they thought of your new ads and instantly figure out who might be listening. Although these methods range from free to costly, the most effective approaches combine many different forms of data gathering. When assessing radio advertising costs, it’s common to do so in relation to audience size. This is more effective than simply counting the number of ads you air because not all ads are guaranteed to reach your target listeners. True, you’ll still need to know your per-ad cost to discover your total campaign expenditures. Calculating things in terms of audience numbers, however, is a better indicator of how well your ads actually work. The following two radio advertising cost measures are extremely common, and they might grant you more accurate insights into what you’re paying for when you purchase airtime. Cost per Point, also known as CPP or Gross Rating Point: This measures the cost that you pay to reach one percent of a given population. Cost per Thousand, or CPM: This is what you pay to make 1,000 impressions, or reach a thousand listeners. You may also hear this figure referred to as cost per mile. Cost per Impression, or CPI: The amount of money you pay for a single impression. According to certain estimates, average CPMs usually fall somewhere between $10 and $20. This is likely to vary based on your DMA, target demographic and ad length. As a general rule, the amount that most radio advertisers ultimately pay is roughly equal to the size of their audience multiplied by their ad CPI or CPM. Of course, the way you run your campaign also matters. Here are some factors to be aware of. Even if you broadcast it over and over again, a solo ad might fall far short of your goals. To get around this, many local businesses rely on continued campaigns that evolve to keep up with their needs. For instance, you might be trying to advertise a limited sale with terms that change after a given time period. Or you might need to rework your content for seasonal offerings and retail events. In some cases, you’ll have to modify your ad content because your broadcast partner demands it. For instance, if a radio station changes its branding or formatting guidelines, it might ask you to provide appropriately updated audio or readable scripts. This can be of concern if you plan on expanding your campaign to new kinds of media, like HD satellite radio or web radio. Update vital business information, such as your website address or phone number. If you manage your ad content intelligently, you can significantly reduce these costs. For example, many people just re-record relevant portions of their content as necessary instead of redoing complete ad packages from the ground up. Another point of concern involves royalties. Suppose you want your radio ad to incorporate a licensed song. While you’ll usually pay a royalty charge upfront, if the licensing agreement that you purchase doesn’t last in perpetuity, you might need to pay a renewal fee. One good way to get around this might be to minimize the amount of music you use. Research maintains that background music usually makes ads less easy for listeners to understand, so it may be a bad idea anyway. Is It Possible to Pay Less? Never forget the importance of negotiation and advertising research. Your marketing partner might try to rush you through a deal in the hopes that you’ll accept their terms quicker. There’s a lot to be said for biding your time, however. Radio stations know that companies and private marketers have plenty of other options to choose from. Most are willing to work with you on pricing and contract particulars. The more knowledge you arm yourself with going in, the better off you’ll be in the end. It’s much harder to negotiate with your broadcaster when you have to go through middlemen or talk to different people each time you have a concern. Reputable stations should assign you some kind of account executive or manager who can answer your questions, help you identify the best broadcast schedule for your needs and ensure that you make positive use of your airtime. For starters, ask your account manager what you can expect from any ad package that you intend to purchase. You should learn whether your time slot is guaranteed or if your ad will share a given broadcast allotment with other spots, which is generally the most likely outcome. If you’re assigned a shared schedule, find out what percentage of your ads will air in each block. While you may view it as an added expense, consulting with a marketing agency might actually help you control your radio advertising costs. Ad agencies can connect you with voiceover talent, edit recorded content and simultaneously broker deals with multiple stations. These services may be invaluable for busy small business owners. The fact that an agency can help you navigate future transitions as you seek to update your branding and ad content is also a definite cost-saving advantage. If your campaign also includes content on social media or other platforms, working with a dedicated campaign manager will increase your chances of achieving branding consistency. Be certain to obtain a rate card prior to making any binding decisions. Custom proposals typically include figures like your weekly totals, daily per-spot rates, market percentages and net audience reach, but this information might not be sufficient. Rate cards are more likely to specify the maximum amount you’ll pay. They deal in standardized pricing and often contain tables that make it easy to compare different broadcast options and features. Being familiar with these worst-case prices gives you better footing and lets you know how hard you’ll need to push for lower prices. Also remember that you might be able to save money by accepting less-popular time slots. Your station may offer a program that automatically assigns your repeat ads to weekends and other low-volume periods. If you let your broadcaster choose when your ads air, they’ll probably end up in these slots anyway. Taking a worse time slot may seem less than optimal at first, but it’s not necessarily a bad thing. If you combine such airing schedules with a few choice weekday spots, things could work out in your favor. Pick your account executive’s brains to find out exact listenership details so that you can get the biggest bang for your buck. What if an unpopular time slot simply won’t do? In most cases, you can do yourself big favors by outright requesting volume discounts. Never be too shy to ask for more than what you’re getting. If you’ve done your homework by pricing your ad campaign at different radio stations in advance, you’ll find it a whole lot easier to make a convincing case for why your favorite potential broadcast partner should cut you a deal. Let radio marketing departments know that you’re considering buying ad time in bulk for a large campaign. This knowledge will make stations more amenable to offering you terms with reduced CPIs and CPMs. You could even go the traditional barter route by seeking out a station that will give you free ad time in exchange for business services. For instance, if you run a web design company, you might earn yourself a few choice commercial spots by helping a station with a redesign. Even if the kinds of services that you offer don’t directly appeal to any of your local stations, however, you shouldn’t abandon hope. Radio advertising partners love sponsorship deals. Giving a broadcaster promotional space at your next trade show event, community gala or business conference could provide you with the chance to advertise free of charge. Worried about the high radio advertising costs associated with terrestrial stations? Consider working with alternative media providers, such as podcasters and independent digital radio creators. Ads that air on these platforms are often priced on a CPM basis, so it’s pretty easy to compare their value to a radio station broadcast. Be aware that the large audiences that tune into many podcasts may be separated by geography or even time. Your podcast ads might not drum up as much local business, but they could expand your brand so that it touches the consciousness of a broader population. This is a great complementary marketing strategy for promoting profitable online commerce. Be willing to maintain a flexible stance. No matter what kind of radio advertising deal you broker to start with, your needs are likely to change going forward. In the early stages, you should experiment with different options, like hiring your own copywriters or booking studio time and recording the ad yourself. Practice being adaptable before you agree to a deal, and you can make your life much easier when you later need to modify your radio marketing program. Radio advertising costs aren’t set in stone, and even if you’re targeting costly DMAs, they’re not necessarily going to swallow your whole marketing budget. Advertisers who keep themselves informed find it easier to devise plans that meet their ongoing budget and outreach needs. Of course, you have to realize that some radio advertising costs are inescapable for those who want their commercial content to produce the desired results. The successes that you’ll get out of radio ads are usually commensurate with what you invest in them, so be willing to pony up when the time comes. Finally, never put all of your marketing eggs in one basket. Radio campaigns work best when they complement online outreach, local flyers and other forms of promotion. Leverage different forms of media to reinforce your message, and you’ll find it much easier to justify your radio advertising costs. Searching for other awesome business tips? Check out the Lendvo resource library to learn more.